TORONTO – It's being touted as the next new miracle ingredient for everything from pet treats to anti-aging face creams and elixirs that can help an athlete's aching body recover faster. But that's not the only reason that cannabidiol or CBD, a compound derived from cannabis that doesn't get people stoned, is being eyed by companies of all stripes including beverage giant Coca-Cola. Regulations and attitudes are warming up to it and the potential for CBD-infused products to be available on grocery or pharmacy shelves – instead of in tightly-regulated pot shops – in the not-so-distant future. Including in Canada down the road, says Trina Fraser, an Ottawa-based lawyer who advises the cannabis industry. Globally, the market for CBD could be "massive," she said. 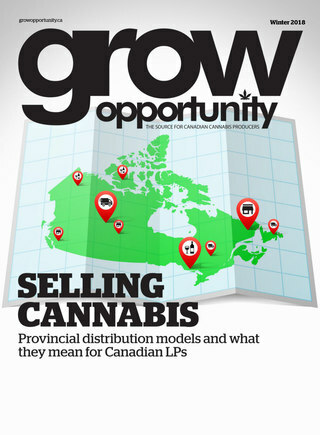 "Think about cosmetics, and skin creams, and arthritic topical creams, and all sorts of types of products that you would go to a drug store to buy that could have these potentially therapeutic effects from CBD... That's certainly not unrealistic, and I think in fact, odds are, we will be there (in Canada). I hope, within the next five years." CBD is a compound found in cannabis and hemp heralded for its therapeutic effects, but does not produce a narcotic effect. Tetrahydrocannabinol, or THC, is the psychoactive compound that gives users a high. Research evidence, as for cannabis overall, is slim but the anecdotal buzz about CBD is building. "The body of research around it is still catching up, it's still in progress, but that word of mouth is really what's driving it," said Bethany Gomez, a legal cannabis and CBD industry researcher with Brightfield Group. Products with CBD in Canada are illegal unless authorized for medical purposes, according to Health Canada. When Canada legalizes cannabis for recreational use on Oct. 17, products with CBD will be regulated similarly to marijuana products. But restrictions on CBD are showing signs of easing, particularly in the U.S., and the growth projections for the market are now dramatically higher than they were a year ago, Brightfield says. It could outpace the rest of the cannabis market to reach US$22 billion by 2022, according to its recent report. Hemp and cannabis are Schedule 1 federally controlled substances in the U.S. CBD is legal in all 50 states, but only if derived from industrial hemp cultivated for academic research or agricultural pilot programs. However, if the 2018 Farm Bill working its way through the U.S. legislative process passes, it would allow for the full legalization of industrial hemp in the United States, allowing CBD to be sold across state lines. "This legal grey area that plagues the market right now, that essentially is wiped out... It allows it to be on the shelves of Krogers and Target and Walmart," Gomez said. World Health Organization experts said last year that CBD in its pure state "does not appear to have abuse potential or cause harm" and it should not be internationally scheduled as a controlled substance. WHO added that initial studies show that CBD could have some therapeutic value for seizures due to epilepsy and related conditions. Some athletes now have the green light to use CBD. The World Anti-Doping Agency last year said CBD products would be OK for use, provided it does not have any THC, which remains banned. In June, 3-on-3 basketball league BIG3 said its players would be allowed to use CBD for pain management and recovery, believed to be the first professional sports league in the U.S. to do so. Change is afoot at home too. Health Canada put forward an exemption last month for industrial hemp farmers with the proper licenses to harvest and store the whole plant including the flower, where CBD is found, not just the stalk and seeds, which produce little amounts of the cannabinoid. The farmers will be able to sell it to a licensed processor for sale under the Cannabis act. Prior to this, hemp growers had to destroy the other parts of the plant. As well, Health Canada has spoken about potentially allowing for natural health products to contain cannabis and cannabinoids, including CBD. Natural health products in Canada must be safe to use as over-the-counter products and do not need a prescription to be sold. There are 220 NHPs with cannabis currently authorized for sale, according to Health Canada. These are authorized because they use only the stalk and non-viable seeds, as allowed under current legislation, which produce no meaningful CBD, if any, Fraser said. The proposal in Health Canada's November 2017 consultation paper would allow the flowering heads of the plant to be used in NHPs, she added. Health Canada concluded in June that more consultation is still needed. Still, this hasn't stopped companies in Canada from offering products such as spa treatments infused with CBD, which are either breaking the law or don't contain a large enough amount of CBD to have an effect, Fraser said. Meanwhile, alcohol companies and consumer packaged goods companies are taking a closer look too. The latest company to express interest in CBD is beverages giant Coca-Cola, which BNNBloomberg reported was in "serious talks" with Canadian marijuana producer Aurora Cannabis. Coca-Cola said it had no interest in marijuana or cannabis but "along with many others in the beverage industry, we are closely watching the growth of non-psychoactive CBD as an ingredient in functional wellness beverages around the world." Meanwhile, Canopy Growth is embarking on a Health Canada-approved clinical trial to research the use of CBD to treat animal anxiety. Canopy Growth's venture capital arm Canopy Rivers also has an investment in LiveWell Canada, which is researching CBD and other cannabinoids and plans to develop CBD products. "Our belief is it will be not only as big as cannabis, but far, far greater," said David Rendimonti, president of LiveWell.